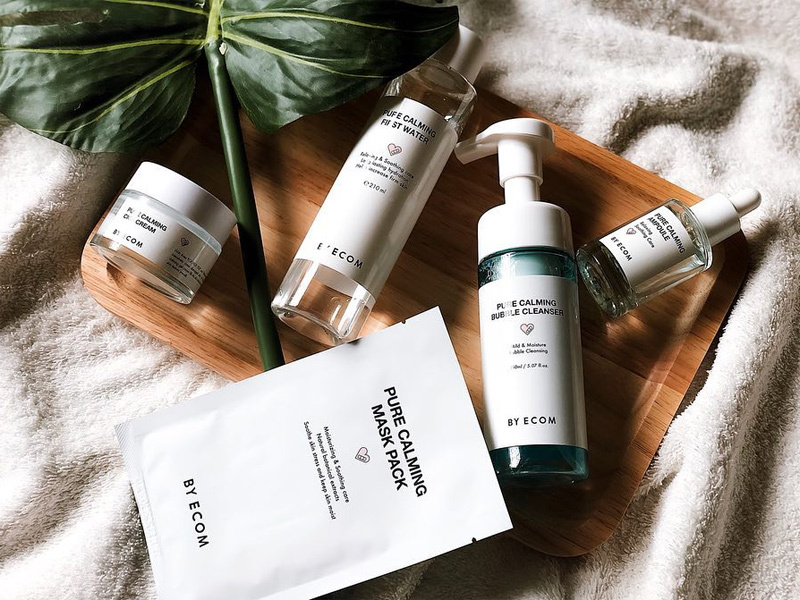 I was fortunate enough to have been sent the @byecom_cosmetic line by @stylekorean_global and started using the products towards the end of December. I have really been enjoying the products so much! My skin has never felt more resilient though I’ve still had a few days of sensitivity from dehydration, heat or exfoliation. I’ve been using this line in addition to my PKY Acne Spot Cream and have noticed that my skin has not only become calmer, but I break out less and my scars are healing really well. The line focuses on Madecassoside and Centella Asiatica extracts; and contains HA, Panthenol, Peptides, Chamomile and tea tree extract. 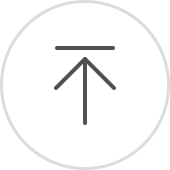 I’m having some difficulty getting information on a couple of the products as the listings are only available online in Korean. This brand hasn’t been hyped about as much as it should be so google hasn’t been too helpful either! 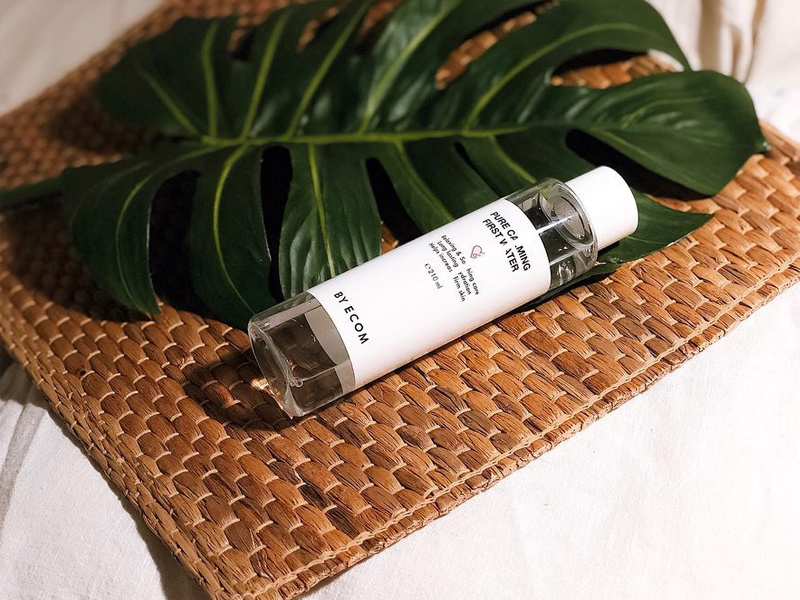 The line is really gentle and aims to firm, soothe and hydrate so as to improve the resilience of skin, improve acne and skin elasticity. What more could I want? I will be providing a review for each item so please check them out. 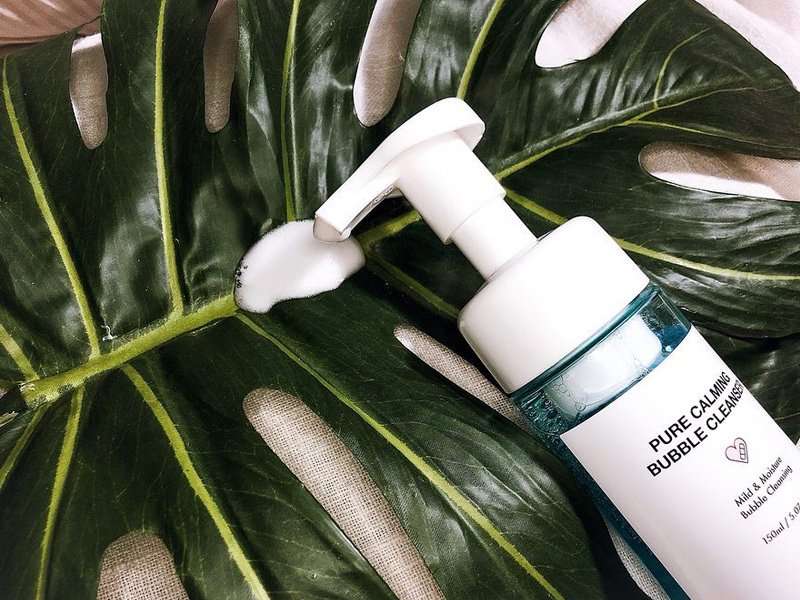 The first product I started using from the line was the Bubble Cleanser! I usually find it easiest to change up my cleanser first because my skin reacts to it quickly if it’s harsh or stripping (I can’t use majority of cleansers), and I get an idea of any brand I am trying. Unfortunately, the listing and information on the box is in Korean so I couldn’t get much information except whatever is stated on the bottle. It’s a 150ml bottle with a pump that creates the softest, lightest foam rich with micro bubbles. It promises to be mild and moisturising, while calming and purifying the skin. It’s gentle formula also helps protect the skin’s natural moisture barrier. Now I liked this for how gentle and non stripping it was. The bubbles are fine and spread like milk foam. My face feels fresh after a cleanse, but it is gentle to the point where I actually began to need quite a bit exfoliation after a week of use - this isn’t normal for me! I use the cleaner twice a day and I haven’t experienced any irritation even on my sensitive days! I would say this is even gentler than cetaphil! 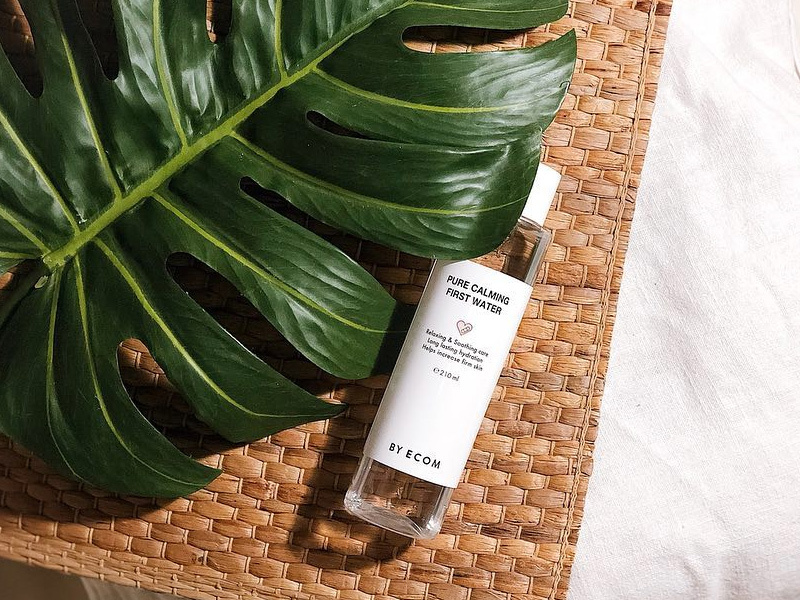 Now the @byecom_cosmetic First Water is actually a toner that promises to remove residual makeup and dirt, soothe and provide long lasting hydration while firming the skin. 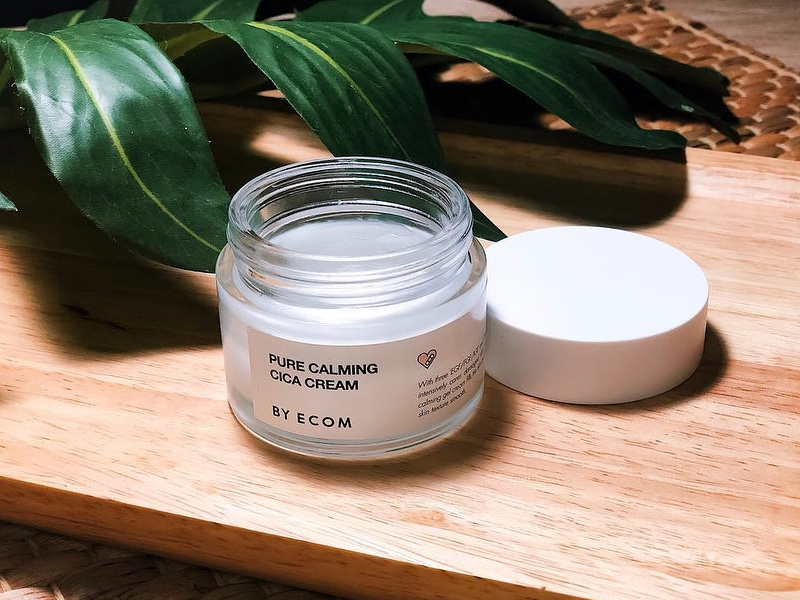 It contains glacier water, centella asiatica, chamomile flower and leaf extract, EGF and a few other plant extracts to calm the skin and help regeneration. It’s formulated with a ph of 5.3 to maintain the skin’s acid barrier. Now I have to say I was originally pretty skeptical of this toner because it felt like I was applying water to my skin. I felt nothing magical as it was neither cooling nor refreshing. But I started noticing that my skin stayed hydrated and was comfortable after this step. I tried soaking cotton pads with it and applied it to my skin a couple of times and it was so calming for my skin but in a gradual way. It also reduced my redness but I do prefer not to soak this product while I still have the masks. It is recommended for acne prone skin as well as sensitive skin and I do enjoy it but it doesn’t wow me. I would still consider repurchasing it though! I think this product has been floating around on the gram a bit and it’s what really drew me to this Try Me Review Me. 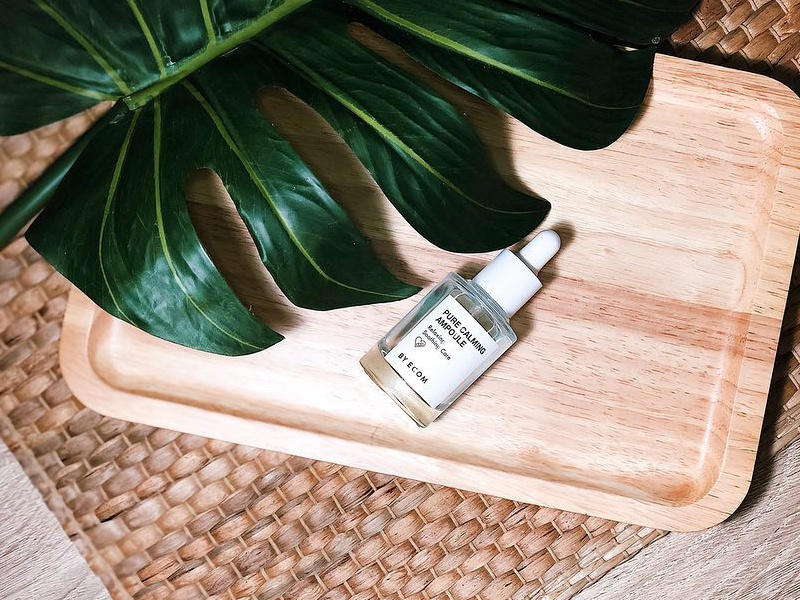 This ampoule is the star of the line and has been really popular for selling >50,000 pieces! It promises to refresh and hydrate dehydrated skin, increase skin resilience, improve acne and cell turnover. What is in this ampoule? An abundance of EGF, centella asiatica, tea tree, neem and chamomile. It also contains licorice root, aloe and broccoli extracts; all of which are amazing for soothing skin. 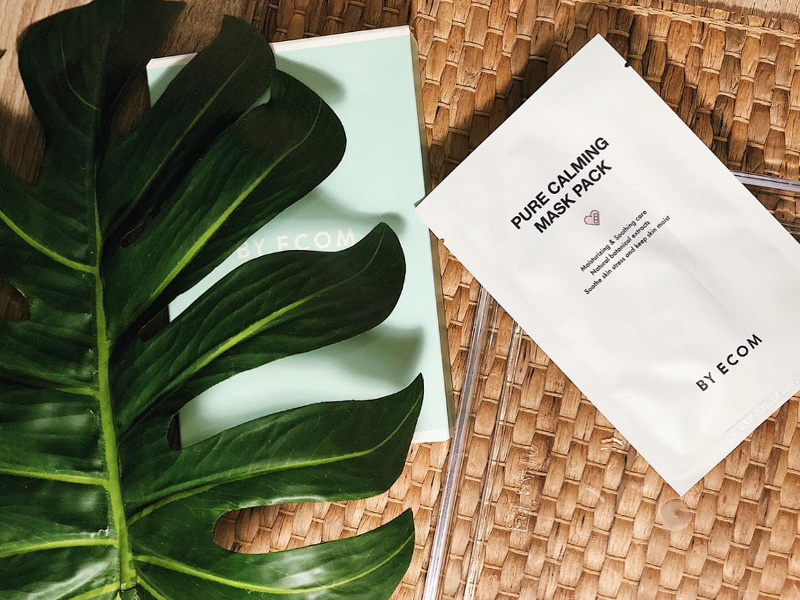 Ingredients wise, this is basically a powerhouse for acne prone and sensitive skin. It has a light watery texture that absorbs quickly into the skin with little stickiness. I hadn’t known that I could soak it on cotton pads for use as a mask so I have not tried that. I apply this twice daily like a serum and pat it into my skin. As with the toner, I didn’t notice any changes in the beginning till about 2 weeks in. I noticed that my breakouts were reduced and my skin was more resilient. I feel that this product may be helping not only with my acne, but my scarring as well. It does also help reduce redness on days I’m glowing like a little tomato. MY ABSOLUTE FAVOURITE! This product makes holy grail, will repurchase status. Of all the products in the line, I fell in love with this the hardest and on my first application! 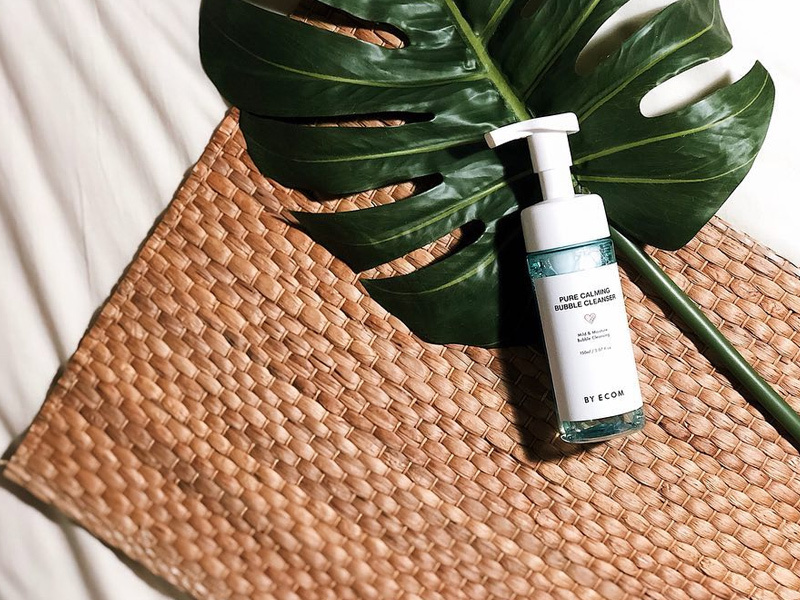 The Cica Cream, like it’s name suggests, is packed with a lot of madecassoside and centella asiatica extract to the point they’ve selected to use centella asiatica extract instead of purified water. Non diluted product? Sign me up! It also contains panthenol which is amazing for reducing inflammation. I can’t do without this anymore! I use this cream twice a day and it soothes and plumps my skin immediately upon application. It is a thick and cooling gel that leaves a bit of a residue. I don’t mind it given how dry my skin is, and I’ve noticed that the texture is almost like a sleeping mask. It contains little blue capsules which are filled with chamomile extract that pop to soften and moisturise the skin quickly. I have never felt the capsules as they are so tiny and so soft! I am also left with a smooth and glowy base for my makeup. I am rarely a fan of light gel moisturisers but this takes the cake. 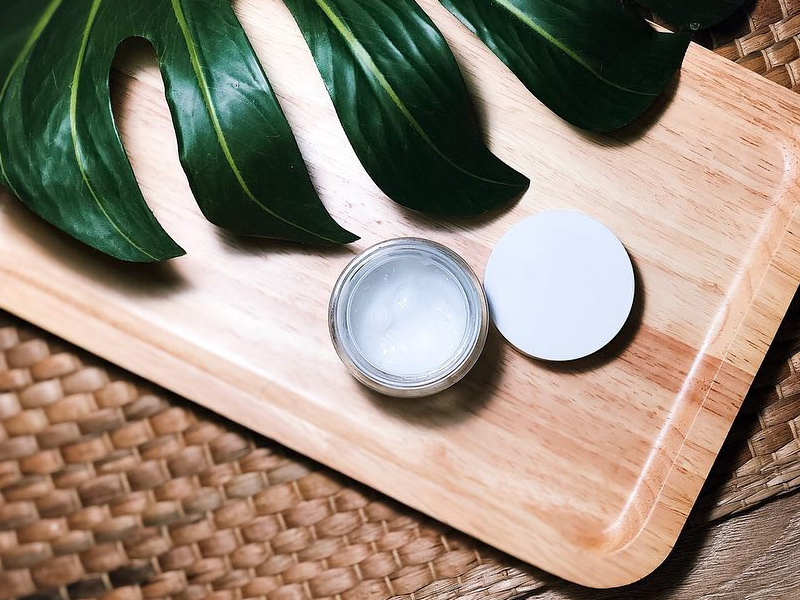 The beautiful glass jar is sturdy and I did bring this with me to Batam and it went a long way in keeping my skin calm and clear. I am so bummed that I can’t get information about this mask! 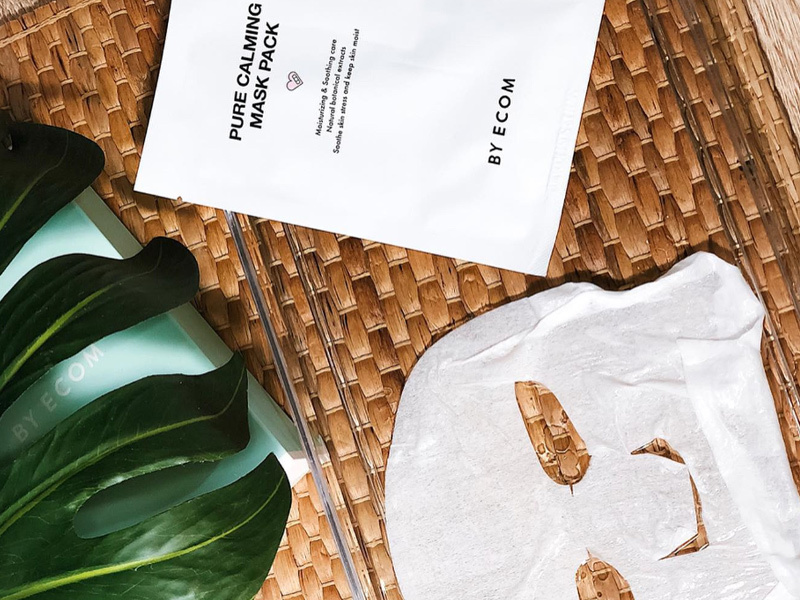 I get that it has centella asiatica and madecassoside but something about this mask makes it a complete delight for sensitive skin! The sheet feels a bit like bean curd skin, it’s a sheet that is so soft but doesn’t tear even when I adjust it with my nails. If you are not familiar with bean curd skin, look google it. It’s like a film like sheet? I don’t notice much of a scent but it contains 25ml if watery gel like essence. It cools your skin upon contact, and deeply hydrates and soothes. I’ve noticed my redness is reduced and my skin is really cool to touch after. There is quite a bit of excess serum to massage in, but I usually pat it in so that I don’t irritate my soothed and cooled skin.